Although financial risk management has become more of a priority issue for the Chinese Government, the ‘stability approach’ propounded during the recent Two Sessions clearly indicates that radical reforms in the near future are improbable. Benjamin Jacobs and Yvonne Yu, APCO Worldwide, explain more below. One of the most discussed reforms heading into the Two Sessions was the creation of a Financial Supervisory Commission to oversee all financial transactions, an idea proposed during a February meeting of the Central Leading Group on Finance and Economic Affairs. However, due to the difficulty of getting both the People’s Bank of China (PBOC) and China’s three financial watchdogs—the CSRC, the China Banking Regulatory Commission (CBRC) and the China Insurance Regulatory Commission (CIRC)—to cede authority to a new organisation, it appears this plan has been temporarily sidelined in favour of granting the PBOC more power to lead and coordinate regulatory activity among the three commissions. 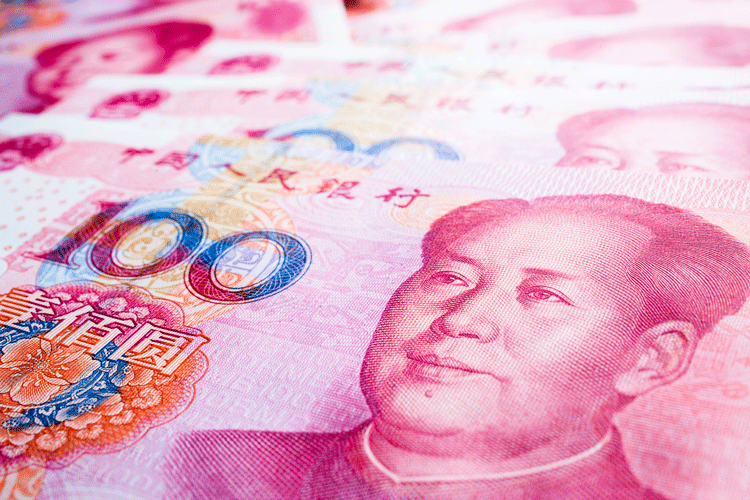 This enhanced coordination is already underway to a degree, with the PBOC taking a leading role in drafting new regulations to rein in China’s CNY 60 trillion asset management industry by consolidating all asset management products and investment schemes under one regulatory umbrella. Additionally, the PBOC has voiced support for modest interest rate increases to bring corporate leverage under control, tighter regulation of WMPs and further facilitation of bankruptcies for failing enterprises. These actions constitute important initial steps toward reducing corporate debt and financial risks that could hobble the Chinese economy in the medium-to-long term, but truly implementing the deleveraging required to effectively tame China’s financial risks remains an extraordinarily challenging task. China’s four major asset management companies are currently aggressively selling bonds to fund their clean-up of toxic debt, compounding leverage and causing their balance sheets to expand 400 per cent between 2012 and 2016. These asset management companies have simply become ‘too big to fail’, and will almost certainly be bailed out by the government if necessary. This moral hazard is also implicitly assumed by China’s major banks, which rely on risky off-balance sheet WMPs—now estimated to total nearly USD 4 trillion, or approximately 40 per cent of China’s GDP—for their liquidity needs. 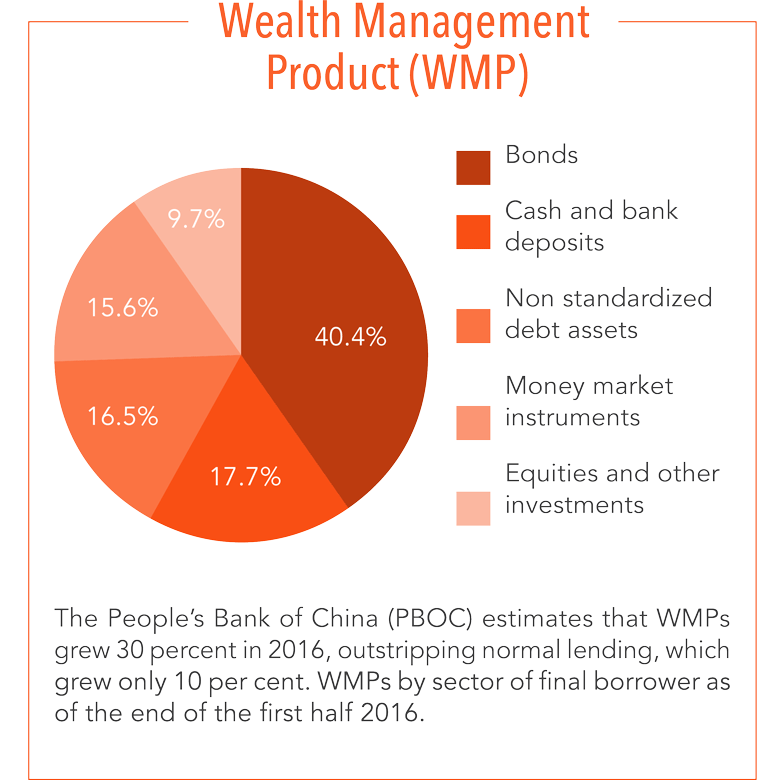 If China’s regulators were to require the inclusion of WMPs on balance sheets, it would create a cash crunch as banks would be forced to substantially increase their reserves to meet capital requirements. Until the Chinese Government builds the capacity and resolve necessary to confront these dilemmas, risk will merely continue to be accumulated and moved around the economy, not truly reduced. In the words of China specialist Christopher Balding, “China’s government is now engaged in a game of chicken. Impose losses on investors, and it risks triggering a run on the bank; continue bailing out investors, and it risks creating a problem that will swallow the economy whole.” As Li Keqiang’s calls to impose discipline on unruly investors and financial markets reverberate across China’s state media, local bankers and regulators remain paralysed between ambitious short-term growth targets and the long-term necessity of forcing painful losses on investors. While the government will almost certainly avoid causing a stir over the months leading up to the 19th Party Congress, eventually, it will be forced to reckon with this unpalatable choice. Upcoming National Financial Work Conference to clarify financial regulatory reform. Further opening of bond market to foreign investors, including Li’s proposed HK-China Bond Connect. More efforts in securing RMB stability, with more capital control and overseas ODI restrictions if necessary. 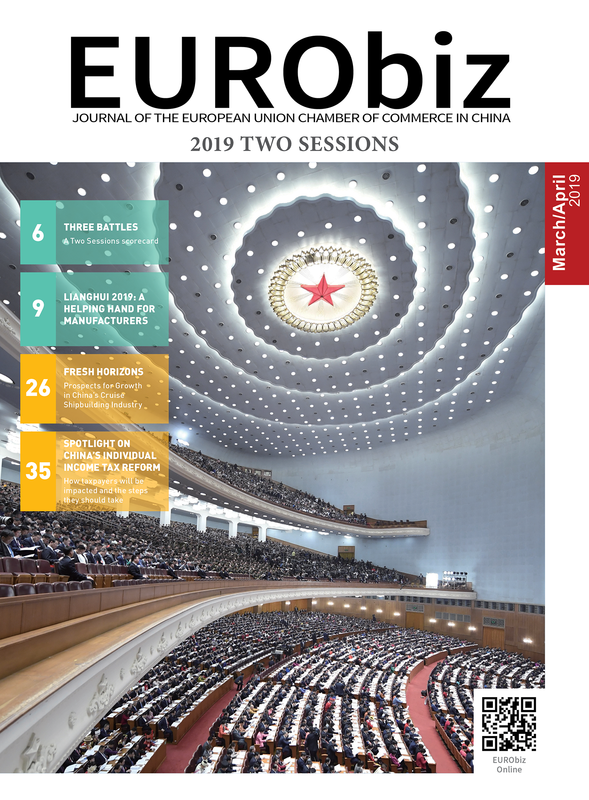 To-be-released Guiding Opinions on Regulating Financial Institutions’ Asset Management Businesses, which aims to overhaul the whole of the asset management sector. Four-tier VAT system reduced to three tiers. More measures to curb house prices in tier-one and tier-two cities. This piece was written with assistance from Abby Bi, Yuchen Yang, Xinhui Zhai, and Meihui Zhang. APCO Worldwide is a global communication consultancy. We help the most innovative organizations adapt and thrive in this fast-moving, interconnected and complex world. We do this for all types of organizations, in all industries and all situations. We partner with clients to guide them through a changing, complex global environment, enabling them to reach their business and societal goals. We bring our clients’ work to life creatively and digitally through diverse thinking and a campaign mentality that embraces a variety of integrated tactics to achieve success. APCO is a majority employee- and women-owned business. Share the post "Inside the Two Sessions: How to Enact Financial Reform while Maintaining Stability"